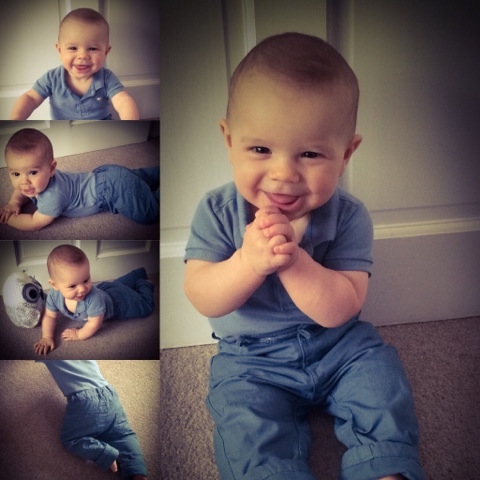 This outfit is great for Arthur to practise his crawling! The chinos are soft on his knees and have plenty of room. We have turned them up here and there is still room for him to grow. Arthur likes to feel the material with his hands! The vest again, is soft and comfortable and the poppers around the nappy ensure it stays tucked in!